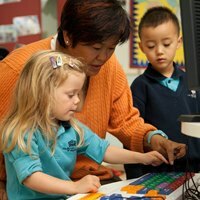 We employ only highly qualified, experienced teachers, who share our passion for every child to achieve more, and continuously develop their skills and expertise, including through Nord Anglia University. We are relentless in maintaining high quality and seeing our teachers continue to grow professionally. As a parent, you want your child to excel. So do we. We teach globally respected curricula to deliver excellent academic outcomes. We educate your child to achieve academic success, enabling their entry into the world’s leading universities. 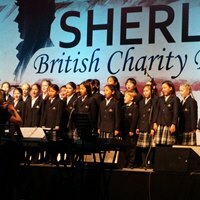 Our curricula are enhanced by collaborations with preeminent organisations, such as Juilliard, MIT and UNICEF. Individually tailoring our approach to every child enables them to get ahead in the changing world of the future. Our teachers truly believe there is no limit to what our students can achieve. With small class sizes, our teachers know each individual child and how to enable each one to make exceptional achievement in all areas of the curriculum, whilst also developing confidence, self-esteem and high level social skills. We encourage our students to be ambitious, to step outside their comfort zones and try something new. We ignite their curiosity. We encourage our students to reach for their dreams and beyond. Our examination results place us amongst the very best schools, and we ensure that every student, whatever their background or previous academic track record, achieves outstandingly. The core belief that every student can achieve in this way is at the root of all we do. Our graduates then have an excellent track record of being offered places in top world universities. Students can be confident that their results will command respect around the world and open doors to universities and careers. 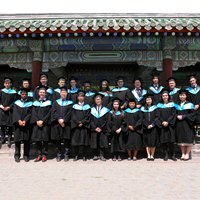 At BSB Shunyi we are equally passionate about helping every student to grow into a knowledgeable, caring, compassionate and internationally-minded global citizen who can contribute to the world, and help make it a better place. We offer unique opportunities through our Global Campus, a wide range of leadership and international experiences, including debating, structured leadership programmes and conferences, academic competitions and the Model United Nations. 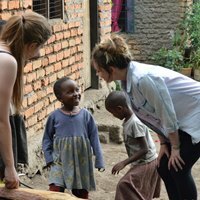 Our Residentials programme extends our curriculum to offer students experiences designed to be fun, challenging, inspiring, and motivating. Living and working with others brings out the best in everyone. It urges students to stretch themselves that little bit further, to be relentlessly optimistic, to be the best that they can be. Our extensive facilities and highly qualified coaching staff allow students the opportunities to develop, train, compete and succeed at a wide range of team and individual sports. Every student in the Primary School learns a musical instrument, and we offer a huge range of individual, ensemble and orchestral performances for all tastes and talents. Our best students get the opportunity to audition for the Nord Anglia Global Orchestra in New York and our partnership with Juilliard. Ambition can take you anywhere but it's only the spark. It takes passion, determination and commitment to make it a reality. It takes resilience and courage. It takes confidence. And we develop these in our students so they excel in what they already can do and find new talents they previously thought impossible.